Where to Splurge for your Event! Planning an event can become very expensive, but with the help of an event planner, you can pick and choose what aspects of your event you would like to splurge or save on. This will tremendously reduce the cost of your party without sacrificing the quality time you are aiming to have. It is entirely up to you and your preferences to decide what aspects are more important, but here are some ideas of what we think are things you might want to splurge on! 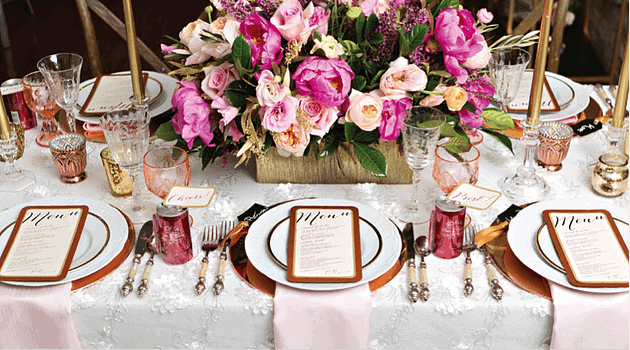 Hiring an event planner might be one of the most important things you’ll want to splurge on. An event planner is there for you from the beginning to the end, through rain or shine. They carry out your decisions, help you when you’re stuck, provide you with options and ideas, and take responsibility on the day-of so that you can enjoy your event. You wouldn’t want to leave the planning and execution of your event up in the air, so hiring a great event planner is something to consider! If food is something you know that you or your guests will enjoy, then definitely splurge here! Of course, it depends on what type of event you are hosting, but choosing the right, appetizing food will make your event more enjoyable. Spending a little extra in this aspect will be worth it for everyone. Don’t be afraid to splurge here! 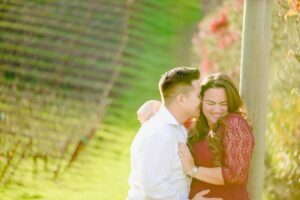 Photos are a memory of a lifetime and if you love photos as much as we do, then hiring a good photographer is a must. This event is happening only once, so you’ll want to be able to keep some quality photographs. You might be able to save some money by hiring a less professional photographer, but be aware you might be sacrificing quality! In order to create a great ambiance to your event, lighting is essential. Whether it’s candles, chandeliers, or colorful uplighting, there’s nothing better that can help set the mood as well as this splurge-on item. Also, if you decided to save on the venue and were never big on the carpet or drapes that come along with it, good lighting will help take the focus away from these two things. Whether it’s at a birthday party, graduation party, or reception, your music will set the mood so it’s important to pick a great DJ or band who will keep the party going. In terms of weddings specifically, usually your DJ, along with the help of your planner, will make sure to keep everything going according to schedule by announcing your wedding party, toasts, your first dance as bride and groom, etc. so it is important to hire someone who is experienced in this aspect. No one really enjoys going to routine parties or weddings in this day and age so a big question you should ask yourself is, “how can I make my event unique or different?” Luckily in recent years, there is a lot of inspiration in the internet (cough cough Pinterest) to draw from. Photo booths and dessert tables have become a norm in a lot of events because they’re both great ways to elaborate onto your theme. One unique idea we had at a recent wedding reception was a photo station with polaroid cameras where guests took pictures then added them into a photo album for the bride and groom. Other unique add-ons can be DIY stations, such as, arts & crafts, spa (nails, hair, make-up), candy, etc., in which, these are great for parties directed towards younger guests. For the older guests maybe a food/ice cream truck appearance at the end, acrobatic performers throughout, signature drinks that represent the hosts, creative menu options or favors people will actually use either during your event or after!